Whenever my wife does shopping for that extra pair of footwear she doesn’t really need (well, is there such a thing), I tease her saying “Oh, another pair … who do you think you are – Imelda Marcos?”. Over the years, I had actually forgotten who Imelda Marcos was, but the phrase still lives on in my household. Let me throw some light on how that phrase came about. Imelda Marcos is the widow of former Philippine President Ferdinand Marcos notable for her collection of shoes. As a First Lady, Imelda used to live a lavish lifestyle as the majority of Filipinos remained in poverty. I learned about her in my growing-up years from our local newspaper which had carried a full page feature on her, along with photos of her shoe collection – large rooms filled with shoes. Kerala film actor Soman played the role of a detective disguised as a Filippino in the popular yester-year movie ‘Akkare akkare akkare’. I don’t know if the last point could be counted as a valid Philippines trivia, but hey, we are talking my list, and that’s firmly on it. 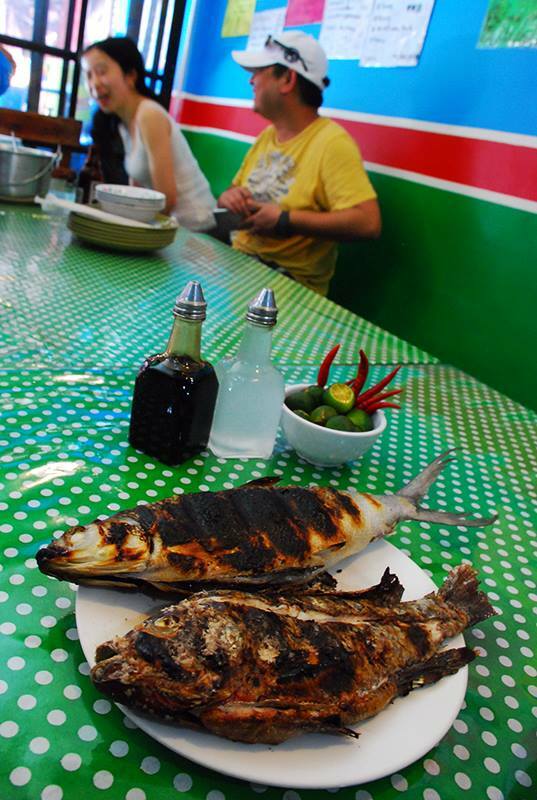 Then all of it changed – my knowledge base on Philippines expanded exponentially – because, suddenly, Philippines came into my life rather unexpectedly. 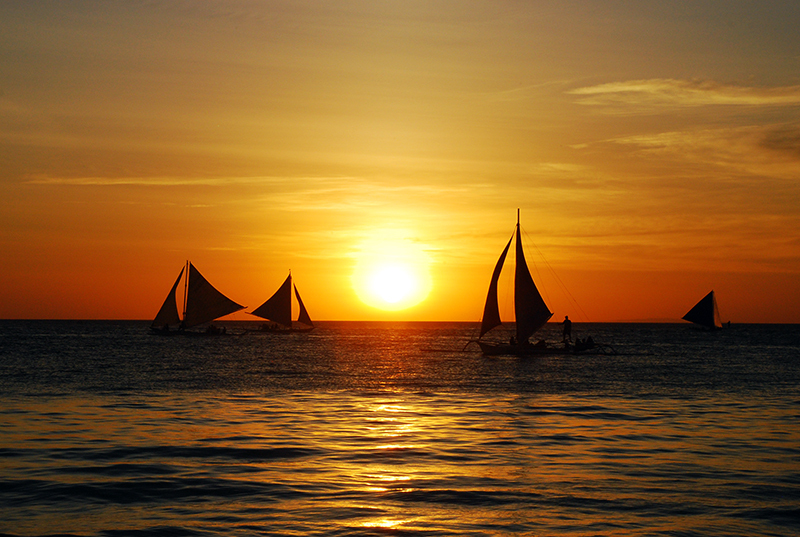 I spent 7 wonderful days in a beautiful island in Philippines, named Boracay, last month. A beautiful island with white sand beaches, turquoise-green waters (you know – the kind of beaches you would see in luxury product advertisements), corals and lovely people. I was going to Boracay! Well, a bunch of his friends and he were planning this trip to Boracay and he included me in their plans since he knew I needed some lifting of spirits. When he called and informed me of the travel plans, he’d already made reservations for me, and all I had to do was get my amply sized back into the competitively sized economy class seat of an AirAsia flight. Well, that was a small discomfort I was ready to live with in exchange for a magical week in a beautiful tropical island. 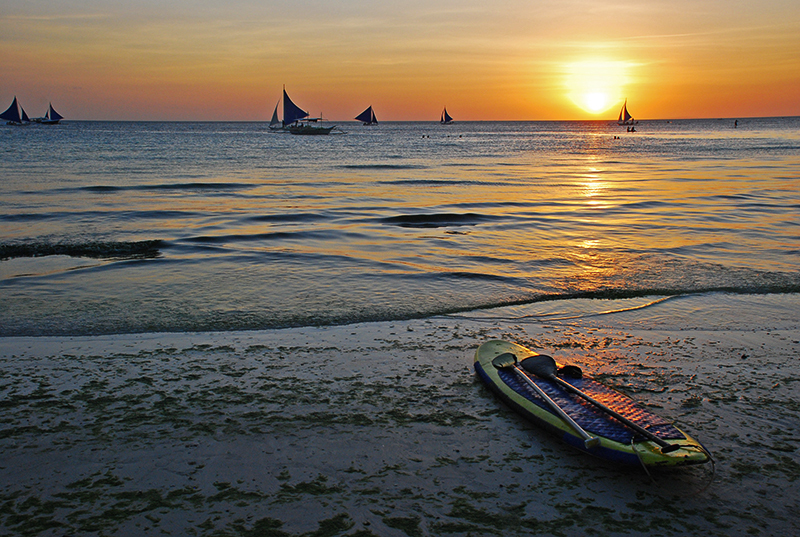 Boracay is one of the many beautiful islands in Philippines, and gets its name from its fine, white beach sand that resembles cotton (which in local language is Borac). 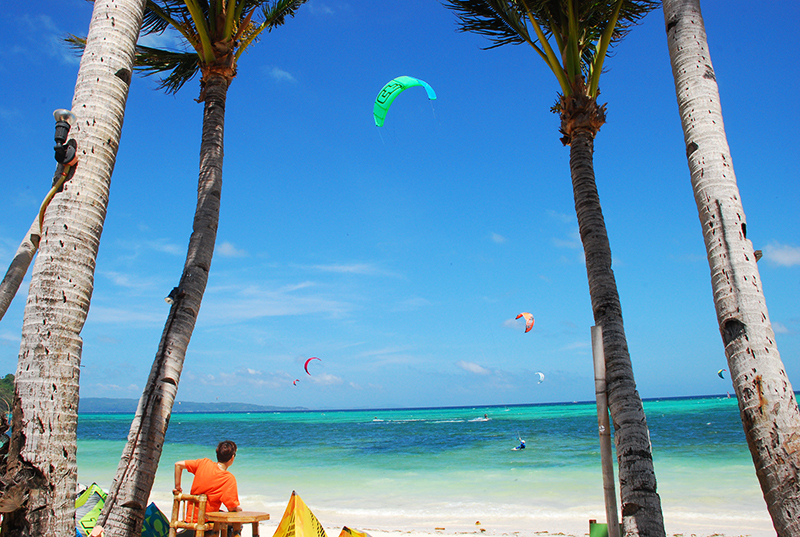 And what are the top favourite activities to do in Boracay? Watch the sun come up and go down (if you are the active kind, I guess). I did not make those up – I actually read that in a book about Boracay that I found in my hotel room. 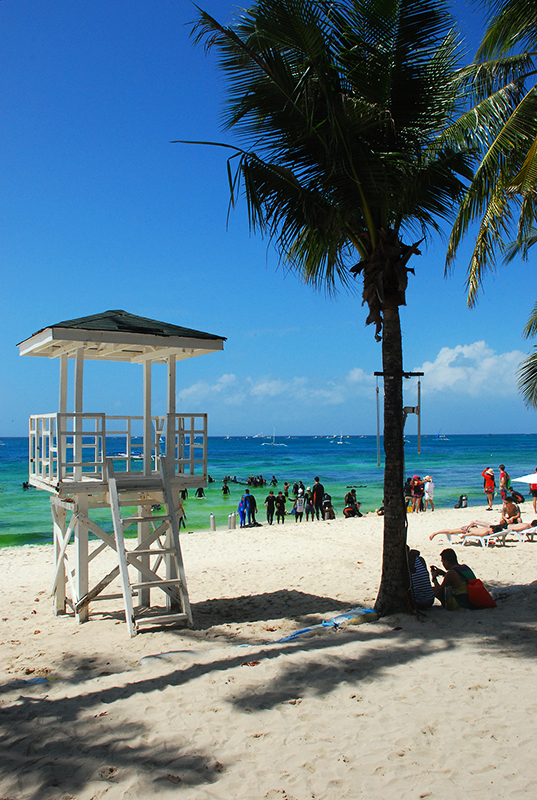 There are about 30 beaches in and around Boracay; White beach and Bulabog being the most popular. 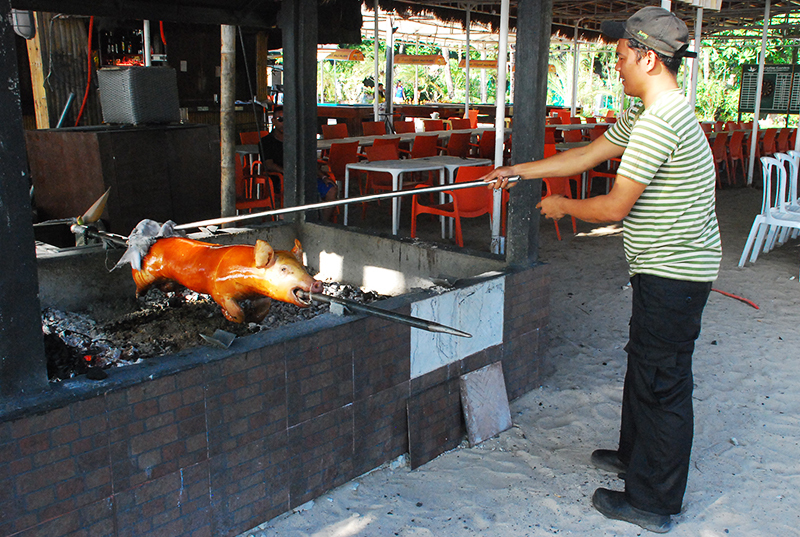 We had booked our accommodation at Hotel Milflores De Boracay – a well-kept, cozy hotel located close to White beach. Our flight to Philippines had us coming through Malaysia, where we had a rather long transit. We spent most of our time in the airport food court, enjoying ‘kaya’/butter toasts and Teh Tarik (Milk Tea) from the Toast Box outlet. 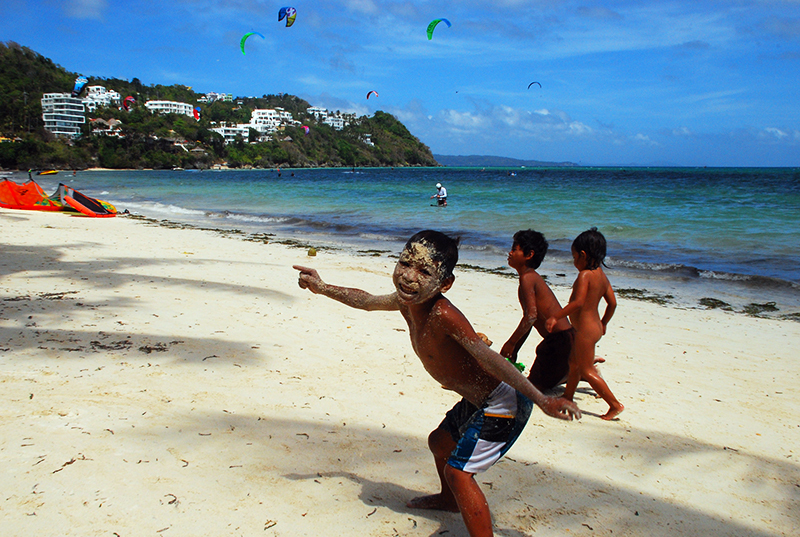 We then flew into Calebo through Manila, from where a 2 hour bus ride got us to a ferry, across which was Boracay. The bus ride gave us a peek into Philippines country side – green paddies, locals going through their day lazily – all of which reminded me of my home town back in Kerala. 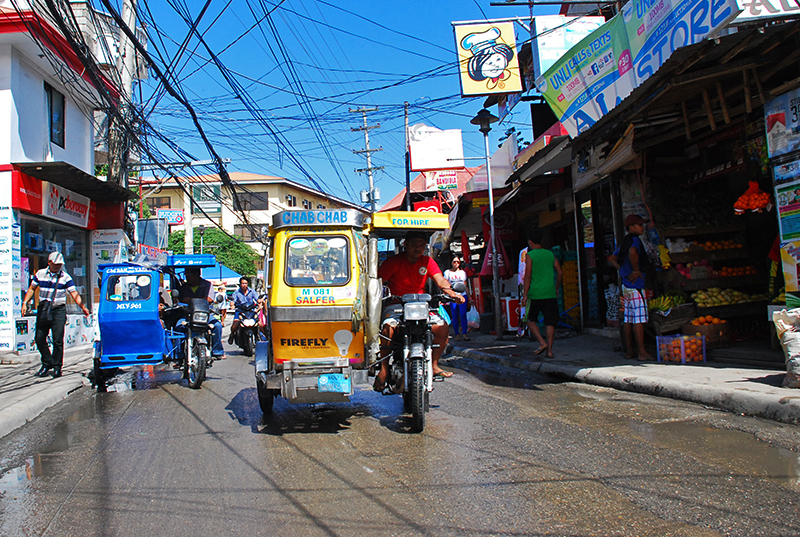 Philippines must have the worst looking electric distribution system – the lines bunched up shabbily, running along everywhere, spoiling otherwise picturesque views. 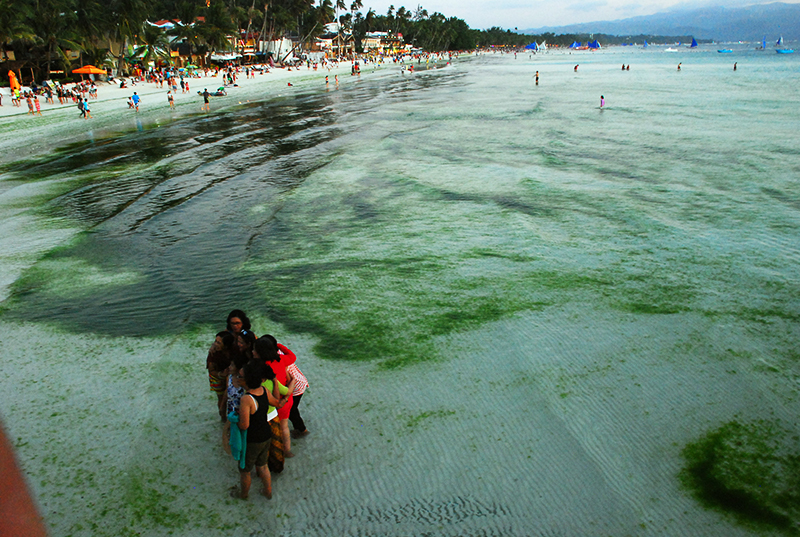 From the jetty, we had to take a boat to get to Boracay. 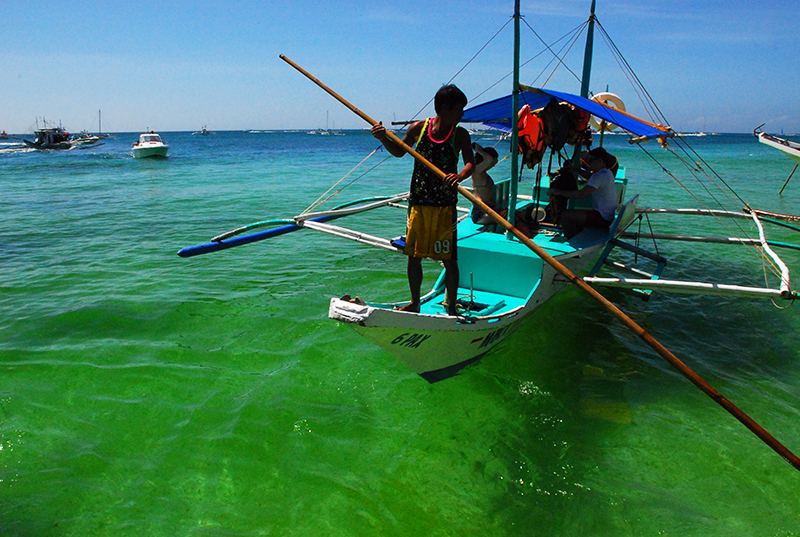 Boats in Philippines are narrow, and have bamboo structures attached to their sides for stability and support. 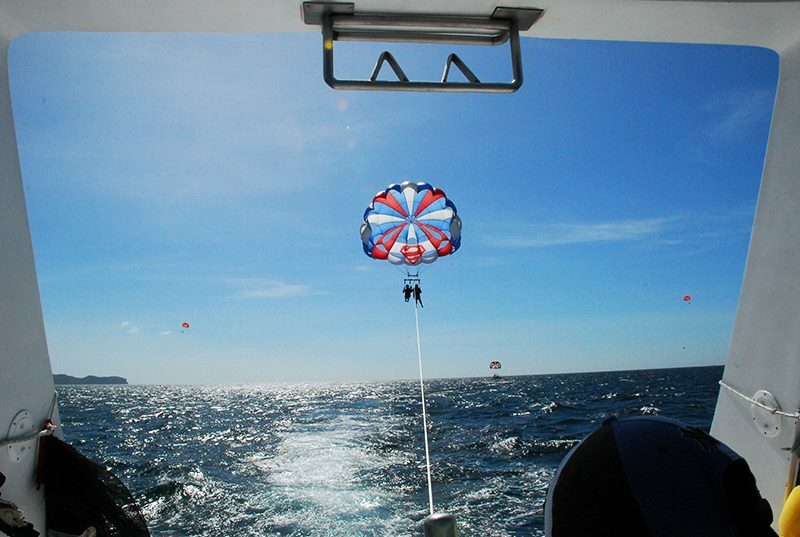 The ride itself was adventurous, and scary at times when the boat negotiated giant waves. The whole jetty, the boats and the hardened, shabby boatmen reminded me of the movie ‘Water World’. By the time we got to Boracay Jetty, I was wet and dripping, my hair on all parts of my body standing up and my legs wobbly . I managed to walk myself to terra firma by tip-toeing and balancing over a narrow plank they had set up between the boat and the jetty. 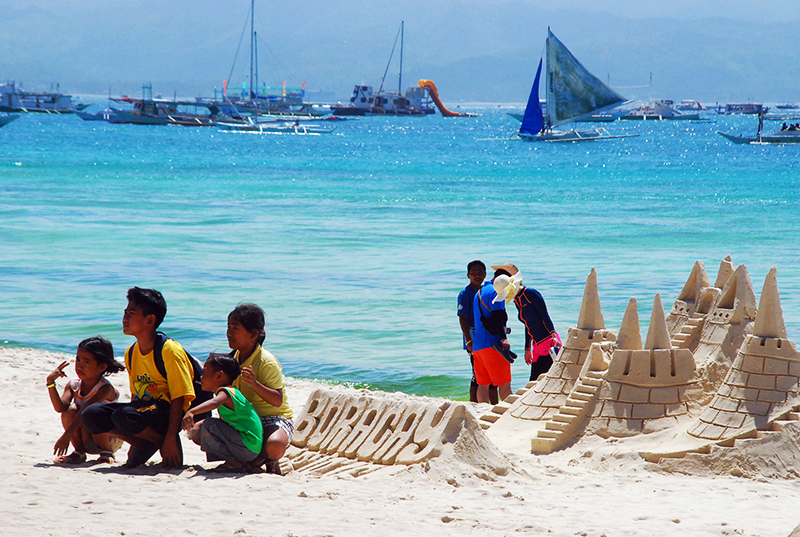 If getting to Boracay was such an adventure, I wondered what would be awaiting us in the coming days. Thanking God, we entered the mini-van that took us to our hotel. 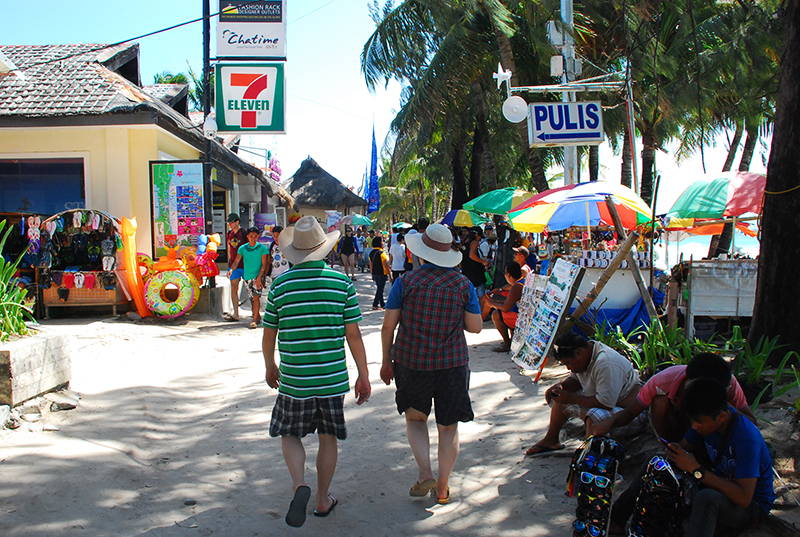 Walking the 3.5 km White beach stretch: The walkway alongside the beach is lined with small shops selling all kinds of stuff, restaurants and cafes. 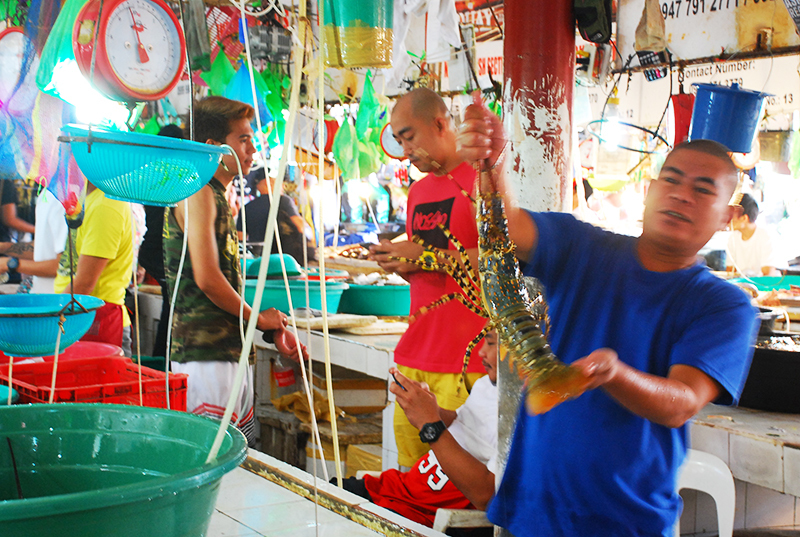 As we walked, we also bumped into hawkers selling Baluts (boiled, fertilized duck egg). Now that’s something one doesn’t get to eat often in our part of the world, so we did give it a try. I should say that if you can get over the looks of it, you should try it. Not bad at all. Helmet diving: Remember Captain Haddock going under water in Red Rackhams Treasure? That’s precisely what this is, except that one doesn’t need to wear a heavy suit. A boat took us to a large stationary platform from which divers helped us wear a 30 kg helmet fitted with an oxygen pipe, and guided us through a beautiful underwater walk. If you, like me, have an eternal fear of deep blue sea thanks to the Jaws movies you saw in your childhood, you may find it difficult to go under. But once you get over that initial fear, this is a once-in-a-lifetime experience. Wondering why you aren’t seeing any divers? They are all under water! 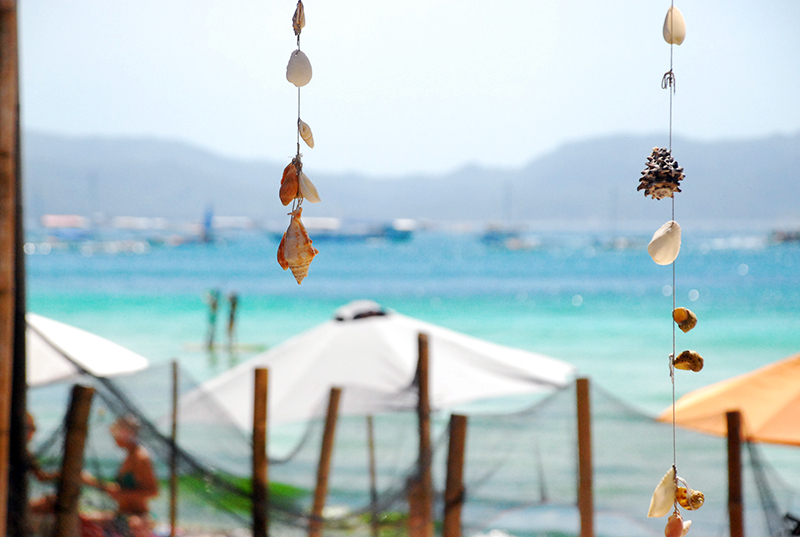 Island hopping: Where they took us to 3 beautiful islands near Boracay – Puka Beach, Crystal Bay and Tambisaan Beach. This was a full-day activity and included a buffet lunch. Puka beach is one of the cleanest and most beautiful beach I’ve seen in my life. 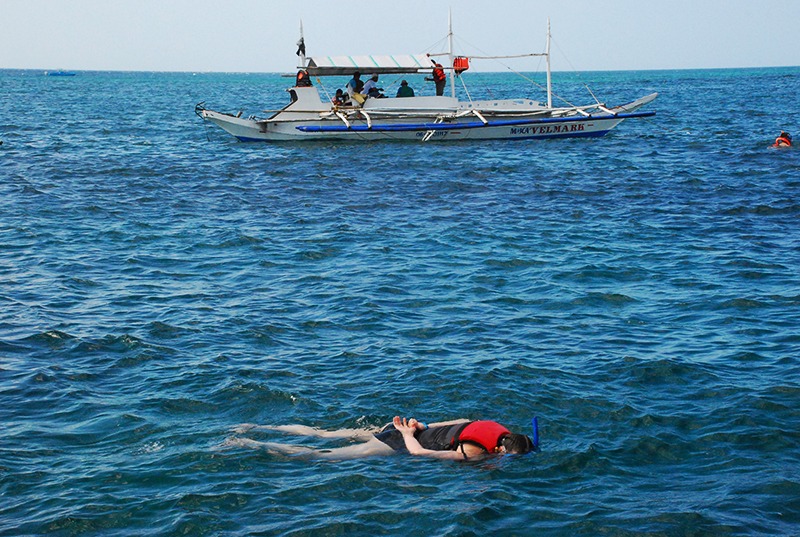 Snorkeling: Now, this one, everyone can try – even if you don’t know swimming. They took us in a boat to a shallow area where we were given the gear, and helped into water. If you don’t know swimming, you could hold on to the ropes tied to the boat and dip your head under water to get fabulous views of corals and fish underwater. 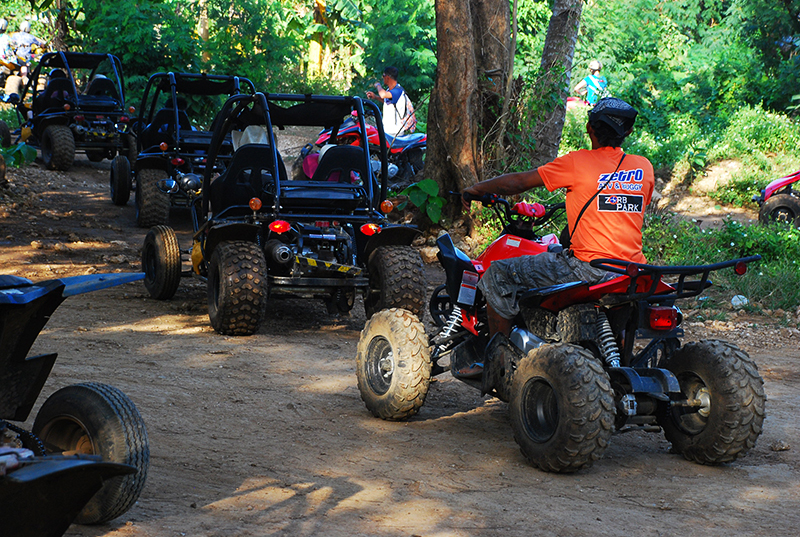 ATV/Buggy ride to top of Mt. Luho: This is where we explored the island on an ATV, and went up Mt. Luho to catch a great view of the island. 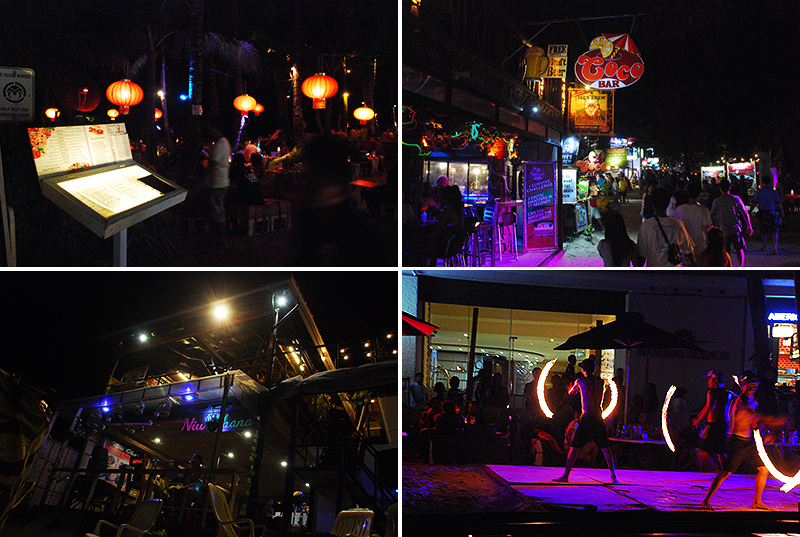 Evenings in Boracay: Once the sun goes down, everyone settles into one of the many restaurants lining the beach. While some of them have live music, many have flame dancers who amaze the audience with ‘live-fire’ performances. Every night we explored a different restaurant, and loved each one of them. 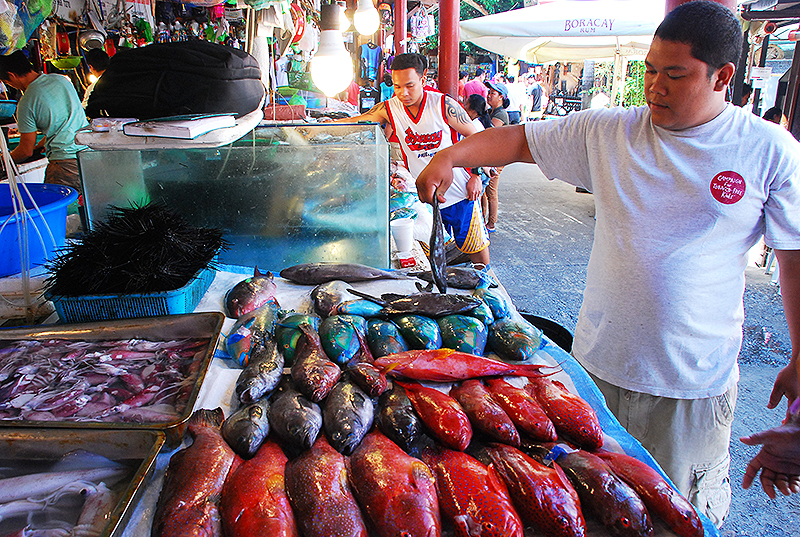 D’ Talipapa – Wet Market: This is a fish market where we got to see the freshest of sea food, haggled with the sellers for the lowest price, took our fish to the nearest restaurant where they cooked them just the way we wanted. A fun experience, though the haggling part was a bit uncomfortable. 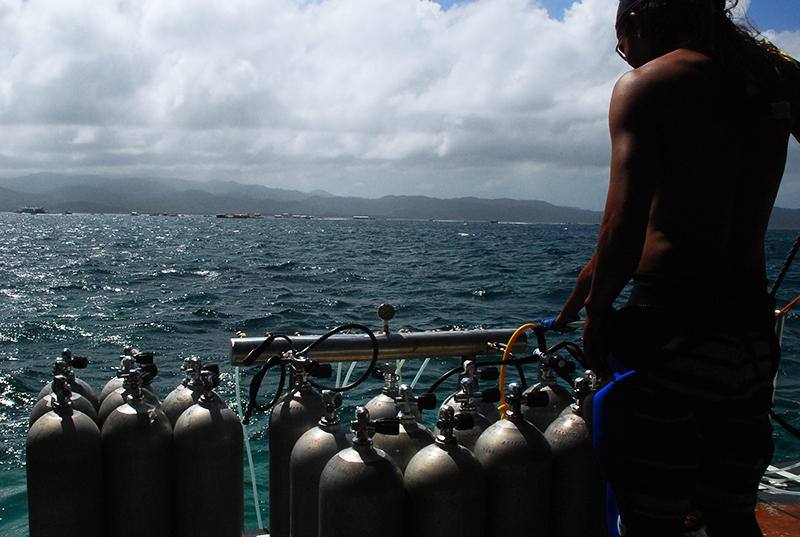 Scuba diving: Scattered along the White beach walkway, you can find shacks where you could sign up for learning Scuba diving. 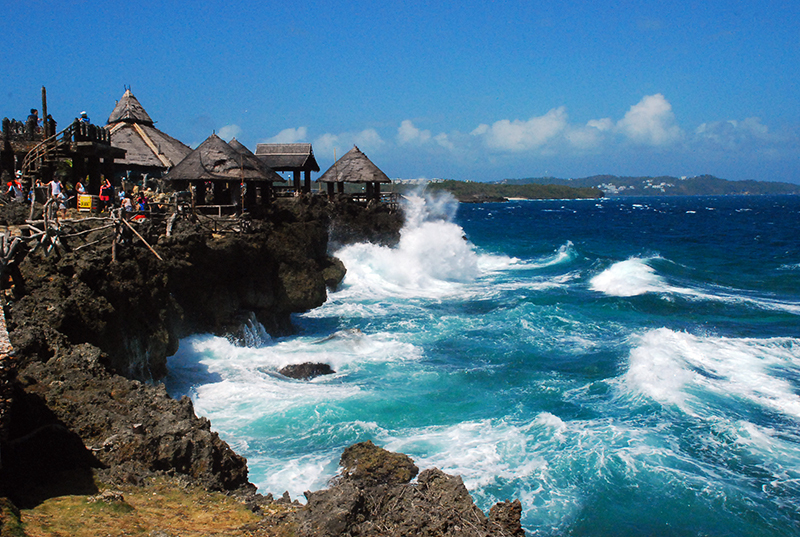 There are about 15 dive sites near Boracay with underwater tunnels caves, corals and other beautiful spots. After giving it some consideration, we decided not to do Scuba diving in this trip. 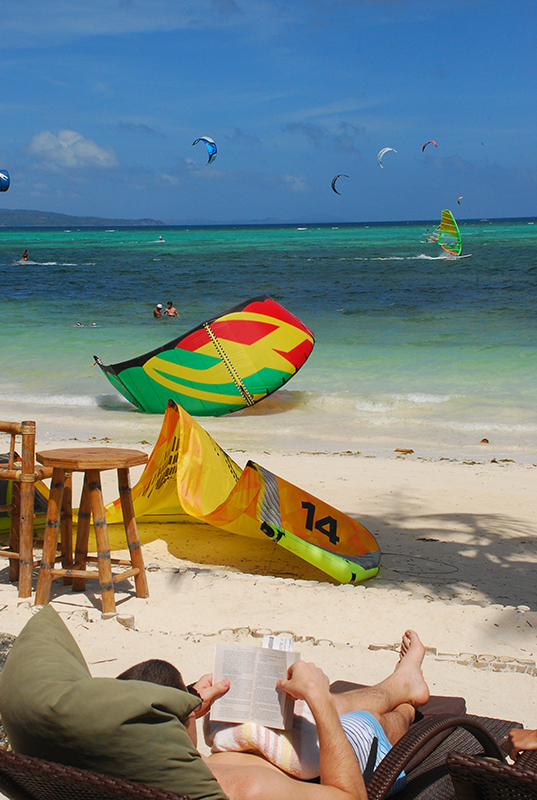 There are many more activities in Boracay including banana boat riding, flying fish, cliff diving, sailing, sail boarding, canoeing and a lot more. 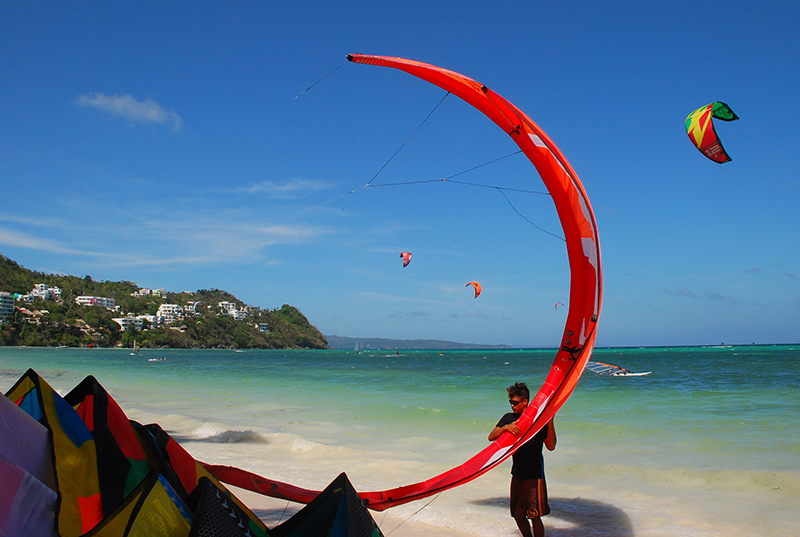 Be it a lazy vacation, or an adrenaline-pumping active one, Boracay has something for everyone. 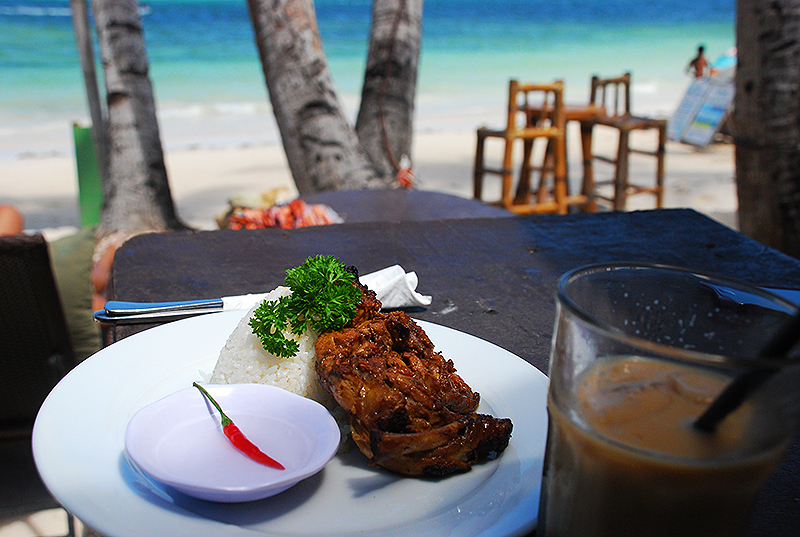 It took me a few weeks after I returned to get over my Boracay hangover. For now, I am just thankful to Laughing Buddha for introducing me to a new land. 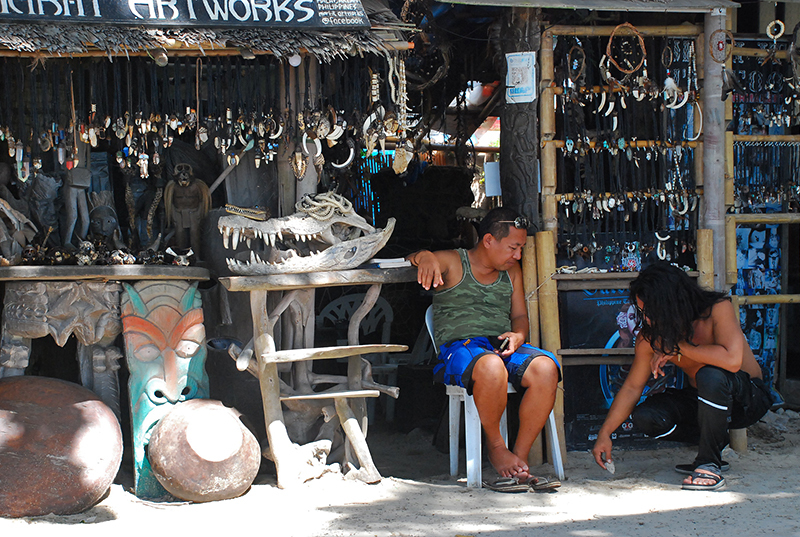 Sights along the White beach – Weird items seller? PS: I am working extra time to pay back my trip expenses to Laughing Buddha. Though he may not take it from me. Very well written post & equally supported by awesome pics ! Thank you Mahesh! Glad you liked the post.